Peter thought that forgiving his brother seven times was really generous. Rabbis usually taught that three times was enough. But Jesus said, "Not seven times, but, I tell you, seventy times seven". I calculate this to be 490 times. But the whole point of being prepared to forgive 70 X 7 is about not keeping score of what I'm owed. In the Lord's Prayer, we pray "forgive our sins (debts) as we forgive those who sin against us (our debtors)". 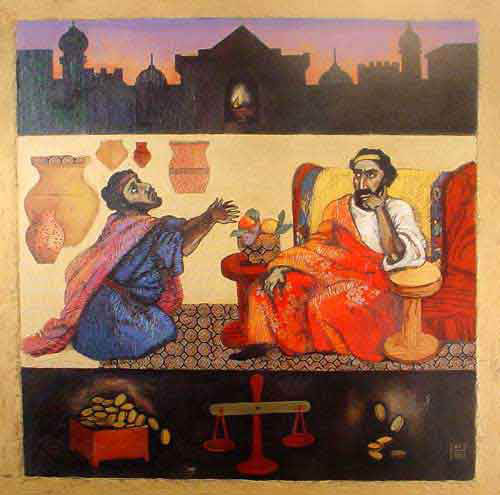 Jesus' parable of the unforgiving servant shows what this means. You can read it in Matthew 18: 21-end. This post is the 21st in a series of daily Lenten reflections based on a Bible reading from the Common worship Lectionary of the Church of England. This one is based on Matthew 18: 21-end.